Whenever we face a crisis in this country, the vultures begin circling. Whether it’s a natural disaster, an economic crisis of some sort, or any other catastrophe, the scam artists find unique and creative ways to con those who are suffering the most out of their money. And the current foreclosure crisis is no different. Rescue scams designed to stop foreclosure are almost too numerous to count and are designed to con unsuspecting people out of the little money that’s left. The scammers promise the foreclosure will be stopped if the person pays them a huge fee to cover their expenses related to rescuing them. This is nothing more than a con - don’t be fooled. These places take your money, don’t go through with any promises they’ve made to you, and vanish, leaving you alone to deal with an worse situation. Rent-to-buy. You are told that they will buy your property from you and then let you rent it from them at an affordable rate until you can get back into the financial position to buy it back. Most often the scammer or “investor” has you sign over your title to your property, but then never pays off your mortgage company. At best, the investor might pay a few of the mortgage payments, but does not pay what they should which ends up with the lender foreclosing. Straw Men. Again you are told by a scammer that they will buy your property and let you rent it back, etc. However this time, the scammer almost immediately re-sells your house to another person, and the new owner then moves to evict you. Equity Skimming. In this scenario, the scammer offers to find a buyer for your home but under the condition that you sign the title over to them and move on out. The scam artist will then rent out your property and pocket the rent money until your mortgage company finally forecloses. Phantom Counseling. You are promised that the scam artist will negotiate with your lender for you for an up-front fee which runs $3,000.00 or more. The scammer is adamant that you do not communicate at all anymore with your mortgage company, lawyer, counselor, or any other 3rd parties. They must handle all communication. The scam artist will also require you to make all your monthly payments to them so they can send it in to the lender for you after they finish negotiating your loan modification. 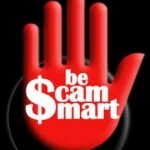 The scam artist will disappear after they pocket your money, leaving you with a lender that then forecloses. Bait-and-Switch. This method has you sign documents for the scam artist that are explained to you as being a better loan with better terms. But actually these documents transfer the title of your property to the scam artist who then gives you a “rescue” loan, which actually is only a mortgage payment made by the scam artist to the mortgage company in order to bring your loan back up to date. Be aware and educate yourself on what to look for if you need help from a company or “investor” that states they specialize in rescuing people from foreclosure. All the above types of con artists use direct lies, partial truths, bold threats, and various tactics designed to scare you and to take advantage of people that are desperate to save their home. It’s critical that you ask many questions and do not ever rush into anything. If you feel you’ve been the victim of a foreclosure rescue scam, you should immediately contact an attorney skilled in this area. There may be a way to get you out of this and get your house back. You can also report it to the Federal Trade Commission at 1-877-FTC-HELP (1-877-382-4357) or to the Office of the Mississippi Attorney General (1-800-829-6766).